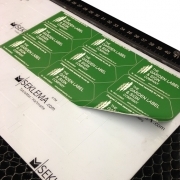 This BRAND NEW Work Holding Mat proves EXTREMELY useful to hold down a variety of materials and items whilst machining is taking place. The Seklema Work Holding Mat lasts twice as long as any other single sided product as it has the ability to almost self heal any small cuts! 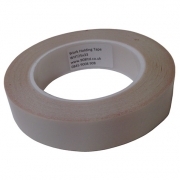 For those who are regularly buying rolls of low tack tape, then the initial cost of this product may well make economic sense! It is ideal for use on Laser and Rotary Engraving Machine work tables. Available in a range of sizes; allowing you to chose which best suits your requirements. This product is double sided, so once the stickiness has reduced on one side it can simply be turned over. To help prolong the life of this product use a soft sponge and running water to remove any chips. dust or dirt, and then allow to dry. 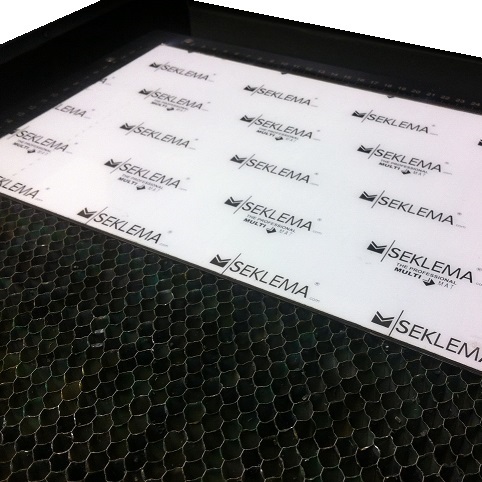 This Seklema Multi Mat is brilliant. Even the Lettering is More Upright, YOU KNOW the straightness of the Letter "N" & Others. You dont Realise the Difference it makes as its Obviously Holding the Labels Firmly in Place.